Are you currently researching siding contractors in Cedar Rapids, Iowa, or any other nearby area? If so, simply turn to Waddle Exteriors, a full-service home exteriors contractor that specializes in siding. We offer both vinyl and fiber cement siding from industry-leading manufacturers such as James Hardie and Crane. Additionally, our team of experienced, factory-trained and -certified installers will ensure that your new siding is expertly installed on your home. In addition to our siding installation service, Waddle Exteriors is also proud to offer storm damage restoration services for homes that have been damaged by hail, wind, or any other type of severe weather condition. 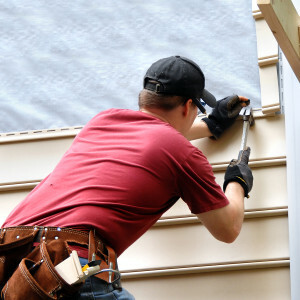 When you choose us as your siding contractors after a storm, we will even handle the process of working with your insurance company, saving you the hassle while we quickly and professionally repair your home back to the way it was. If you’re looking for reputable siding contractors in Cedar Rapids, IA, or another nearby area, contact Waddle Exteriors today.